Sun Valley | Sun Valley | Ecosign Mountain Resort Planners Ltd.
Ecosign was contacted by Mr. Earl Holding, owner of the Sun Valley Company in 1991 to take a fresh look at the ongoing upgrading and renovation of America’s oldest destination resort in Sun Valley, Idaho. Ecosign performed a careful analysis of sun, shadow, exposure and slope gradients to carefully document Mount Baldy’s strengths, weaknesses and opportunities. The 1993 Sun Valley Master Plan recommended replacement of the Seattle Ridge triple chairlift with a new detachable grip quad chairlift in a new alignment, shortening of the Mayday Chair, installation of the River Run beginner lift as a detachable quad chair and a new lift from the top of The River Run beginner lift to the top of the mountain with the new Lookout Express. 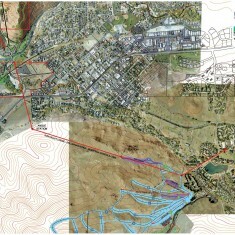 Concurrent with the mountain planning was an analysis of all lands owned by Sun Valley Co. and the development in Ketchum, the program staging through the River Run and Warm Springs portals. 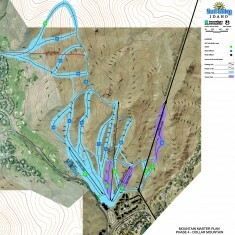 Ecosign collaborated with local architects to prepare the site plan for the award winning day skier lodges and customer service facilities at River Run and at Warm Springs. Ecosign also recommended constructing the warming and dining facilities at the top of Seattle Ridge. Mr. Holding’s enthusiasm for these plans resulted in the rapid implementation of the plans and construction of four of the most beautiful mountain lodges in North America. With business levels achieving new highs, Mr. Holding contacted Ecosign again in 2002 to update the previous Master Plan for the next 10 years of improvements to Mt. 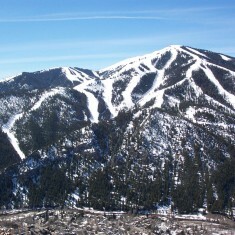 Baldy and Dollar Mountain. 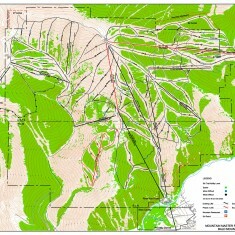 Ecosign has noted the changing needs of skiers and snowboarders and other mountain enthusiasts and reprogrammed Mount Baldy and Dollar Mountain to keep pace with demographic changes in the marketplace and the desires of today’s skiers and snowboarders. 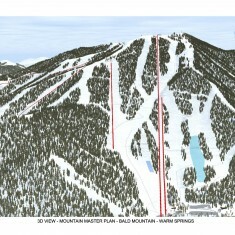 The new plans propose gondola transport on Mt. 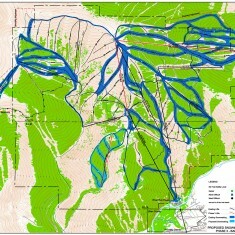 Baldy, a new Ski School zone on Seattle Ridge, as well as improvements to the overall lift and trail systems with the latest in lift, snowmaking and grooming technology. 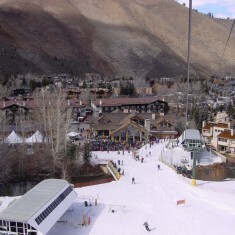 Ecosign has also advised the Sun Valley Co. of the tremendous potential to make one of North America’s premier children and beginner areas on Dollar Mountain and plans were completed to achieve this goal. 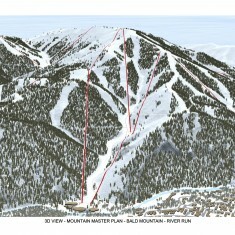 Finally, Ecosign has identified the potential to connect Sun Valley Village with the beginner and children’s area at Dollar Mountain and Mount Baldy via a three section gondola.